Finding it difficult to avoid the cost of laying long cables? Fed up of laying long, 5km cables just to establish communication signals across your site? Have issues optimizing your plant’s communication to get better monitoring and control? Look no further! Say no to messy, cluttered and costly cables and say hello to wireless technology. Introducing Phoenix Contact’s RADIOLINE Wireless Technology! Phoenix Contact provides an INNOVATIVE way to upgrade and optimize industrial plants while eliminating costly cables and unnecessary downtimes. No programming, no software. Less hassle, more productivity. Phoenix Contact Radioline Wireless I/O mapping at the turn of a wheel allows for easy deployment in extensive plants – without any programming or complex configuration. Don’t be fooled by the colorful arrows, they’re not wires mind you but wireless signals transmitting across the RADIOLINE units. It allows modular extension of every station up to 32 I/O-modules per station (hot-swappable) and creates multiple network structures up to 250 stations (yes, you heard it. Up to 250 stations! Impressive). Phoenix Contact Radioline is THE wireless product for large systems. So if you have a large system or a big plant to manage, Radioline is the answer. Again did we also mention that the Radioline does not need any software or programming? Yes we did. By simply turning the thumbwheel, the Radioline is ready to go. By simply turning the thumbwheel, the Radioline is ready to go. No complicated software. Just easy thumb action. If she could do it, you could too! Thanks to the Trusted Wireless 2.0 technology using 868 MHz, 900 MHz, and 2.4 GHz radio frequency, Phoenix Contact Radioline is the ideal choice for reliable use in industrial environments up to 5 km of signal communications. Cables are a thing of the past and they cannot withstand demanding environments, not to mention the effort and cost in installing them. Stop wasting time and money. 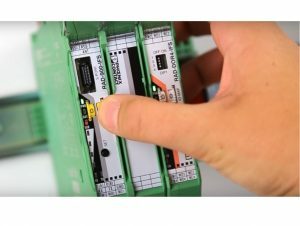 Make the switch to Phoenix Contact’s Radioline TODAY. Interested to find out more about how our Radioline and other products can help you? Send us an inquiry below and we'll get in touch with you as soon as possible. We can conduct demonstrations in your office. 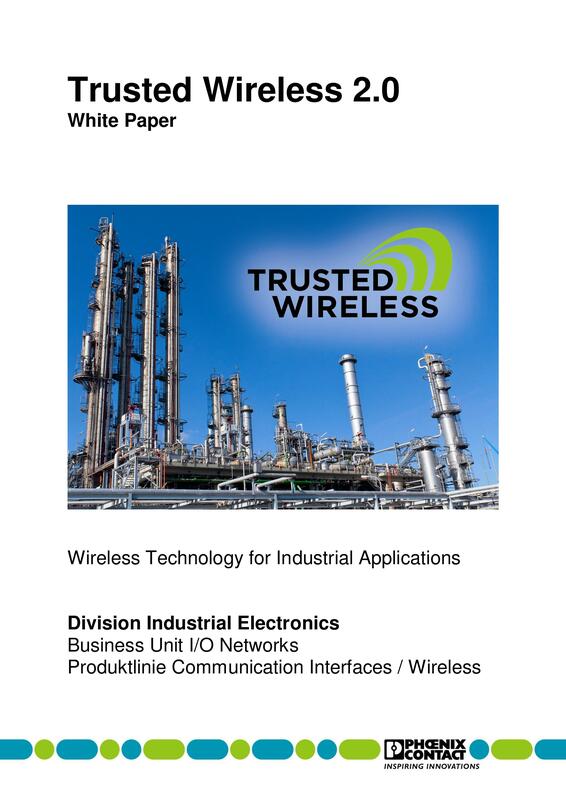 To request for our "White Paper on Wireless Technology for Industrial Application" , submit your email address below and we'll send it straight to you via email. 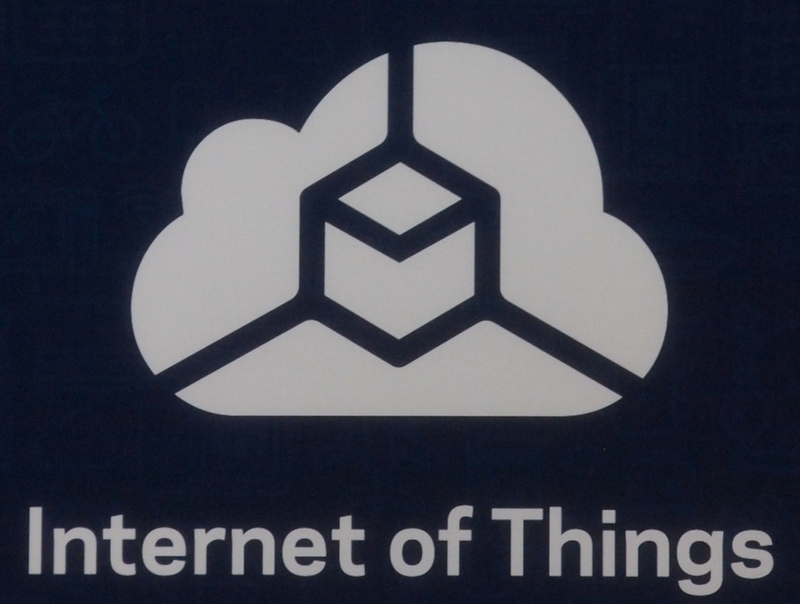 The Internet of Things(IoE) is taking the world by storm. If you’ve been to industrial seminars or read articles online, you’ll come to realize that there’s a lot of buzz in regards to this new age term. So what exactly is the Internet of Things (IoT)? How industries are implementing it in their work processes and most importantly, what it means to you as a business? I am assuming that you do not have any idea about this concept. 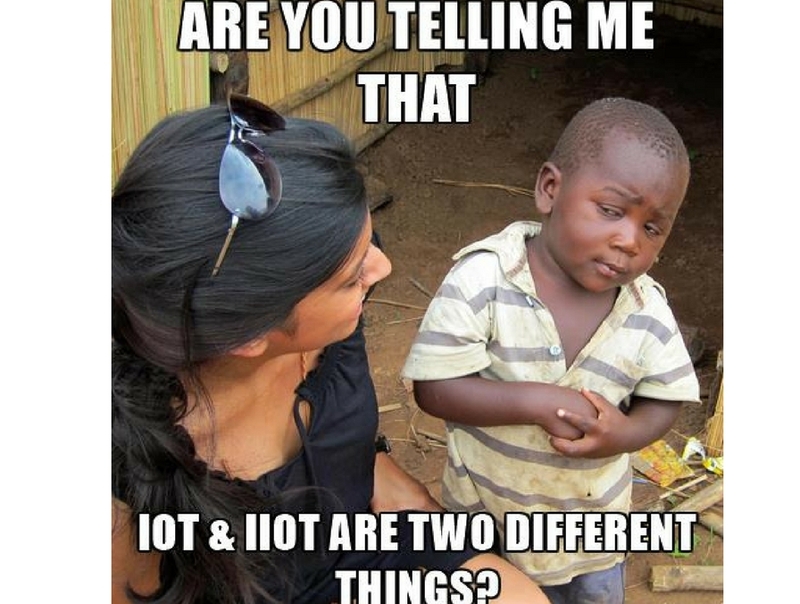 If you do, you can jump straight to our other blog articles on IIoT (in the coming weeks). Do note that in this article we shall dive into the basic terminology of IoT/IIoT and then we shall dissect how it’s applicable to various industries. They key takeaway here is to form a self-realization about how you should start to plan your business for this revolution. Why are we advocating IIOT? At Phoenix Contact we build innovations that speak volumes. Our mission is to help clients and businesses alike achieve productivity and efficiency through cost saving and ground-breaking solutions. Our clients who have transitioned towards the concepts of IIOT including Big Data and M2M have seen tremendous changes in the way their business is being run. And we hope to share as much awareness and knowledge, in the simplest possible way. As such we have customized solutions if you’re planning to gear your business for IIoT (Industrial Internet of Things). Be warn that this concept is not new and chances are you know of businesses who are already transiting towards this new technology even as we speak. So if you’re ready to understand more on IIoT, I suggest reading on. 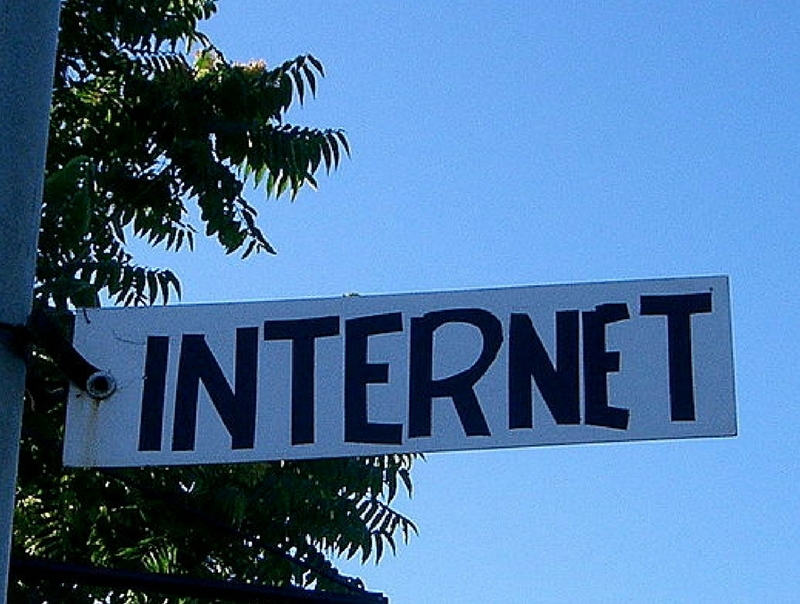 For those of you who may not know, the term IoT corresponds to the birth of the internet. During its infancy, the internet was an exclusive place for selected members to have access to information. As it experiences growth and widespread usages, the internet brought a wave of ideas along with it such as globalization, wireless technology, and data-driven analytics (in real time). This has enabled us to share data across borders, reducing the need to be physically present. While the internet is basically a medium where we search for information, IoT, on the other hand, is a channel where we gather information regarding a specific thing. Things such as having a heart monitor implant on a person or perhaps a biochip transponder in an animal or even a vehicle with built-in sensors to alert the driver about incoming objects. In short, anything that can be assigned an IP address and renders the ability to transfer data over a network is considered an IoT. To make it simpler, IoT is basically a term where machines can talk to each other and then allow humans to read those data because of their communications. “Today, computers — and, therefore, the internet — are almost wholly dependent on human beings for information. Nearly all of the roughly 50 petabytes (a petabyte is 1,024 terabytes) of data available on the internet were first captured and created by human beings by typing, pressing a record button, taking a digital picture or scanning a bar code. How is IoT important for businesses? Before we explore how important it is, we must first understand through case studies and applications of IoT in everyday business dealings. The first known application of IoT was in the early 1980s. Programmers at Carnegie Melon University connected a Coke machine over the internet. The purpose was to monitor the status of the machine and determine the stocks of coke so that they could decide whether to make the trip to the vending machine. Although this experiment was small scale, it manages to identify the true essence of IoT – which is to allow machines to gather data so that we could make informed decisions. 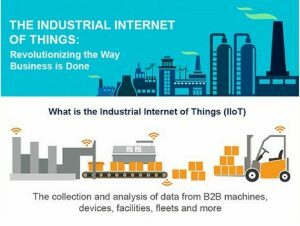 So what’s the difference between IoT (Internet of Things) and IIot (Industrial Internet of Things)? As said, IoT is generally anything that you connect the internet to, enabling you to govern and extract data from. 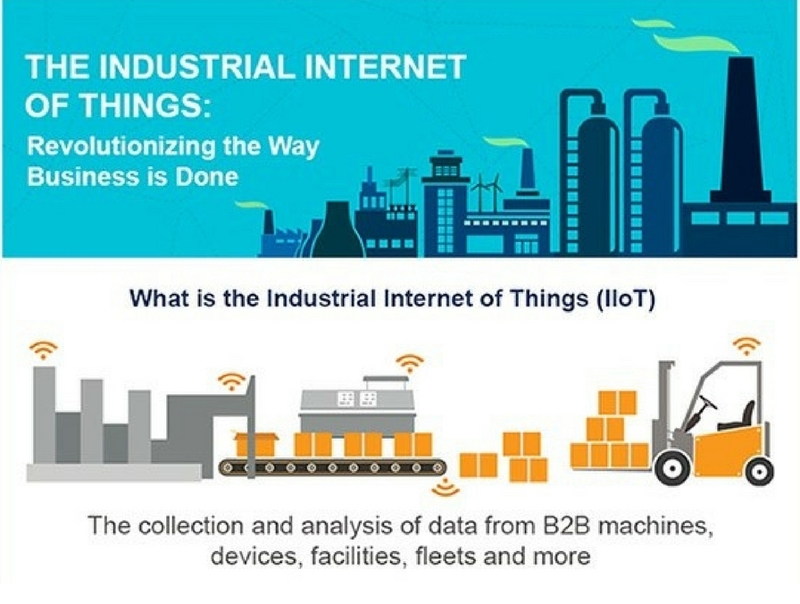 IIoT, on the other hand, is a manifestation of IoT but, instead of a singular product or process, IIoT is more large scale and permits different machines working on other tasks to communicate with other machines, working on separate tasks. In short, it’s IoT, but industrial sized. That means you’ll have software and data engineers working hand in hand with your automation and process engineers. As said IoT allowed humans to interpret data from the machine to machine communication (M2M). Today, everything from household appliances to manufacturing production makes use of IoT. Using digitization, manufacturing companies are getting data through digital, which allows for intelligent decisions and flexibility. Learn more. Through a common protocol such as IEC61850 to facilitate communication across different“Intelligent Electronic Devices (IED)” in manufacturing plants that uses different communication devices. Learn More. Using technology such as Supervisory Control and Data Acquisition (SCADA) in water systems to transmit remote data back to central control (data such as water quality levels for example). Learn More. These are just some examples of where internet technology can be unified with engineering technology to provide seamless data supplied. In the next article, we will be sharing practical applications of IIoT based on products that we suggest and provide insights on how to utilize them. We shall also dive into the other keywords surrounding IIoT such as Industrie 4.0, M2M and SCADA. A point to note: Businesses are slowly paving the way towards integrating cloud-based technology in their processes to allow for cost reducing, data-backed and consistent decision making. If you wish to find out more, speak to our IIoT specialist regarding how your business can benefit from IIoT and the technology needed to get started on. Cut, Strip and Crimp Wires – Electrical wiring is integral in any building construction, electrical maintenance or rewiring works. In today’s highly competitive market, businesses are looking for efficient shortcuts to hasten the task on hand. If a particular task can be completed half the time at half the cost (or manpower), businesses can definitely reap the advantages. Often the case for anyone and everyone, productivity is key in maintaining good client relationships and pair that with consistency, your business could go a long way. Whether it’s in building construction, electrical maintenance or anything which requires electricity, there’s one thing that gets on everybody’s nerve – Wires. Wires, cables, cords or lines – Whatever you call them, they can be a menace. “Of course I know what I’m doing. I’m an engineer”. Cutting, Stripping and Crimping wires. It’s a painstaking and laborious task. Admit it, we know. Even with extreme patience and discipline, there’s no other way around it. Wire maintenance is a known problem and the task can be daunting especially for large scale projects. Using conventional tools (or primitive ones) such as pliers, wire strippers and wire crimpers takes little or no effort if it’s just a small scale task but it could be a nightmare for electricians and engineers especially if they have to complete a rewiring task for the whole building! Here at Phoenix Contact our mission is not to just produce innovative stuff but, we want to bear your pains. By understanding engineering pains could we then build better things to solve common problems. Tools from the stone age. If you’re a technician or electrician this would already be an extension of your arms. This is a wire cutter and no rocket science needed. It cuts wires. If you’re cutting wires for a living you know that it’s a pretty much a simple task. Snip and you cut the wires into two. But what if you have to cut long stretches of wires at the exact lengths. Now imagine if you have to cut rolls and rolls of electrical cables at specific measurements within a limited timeframe. Okay, so if you’re not into cutting wires, surely you would have to strip wires right? At some point when you’re dealing with electrical cables, you may need to strip them. Maybe you can picture yourself cutting spools of wires. After all, anyone could do it with a pair of scissors or penknife. But how about stripping wires? Stripping wires require more dedication and accuracy. Not only do you need to be extra careful to not break the sensitive insides of the wire, you also need to apply delicate pressure to tear apart the rubber insulation. You’ve imagined cutting rolls and rolls of wire. Now imagine stripping rolls and rolls of wire. Talk about having a bad day. If you’re dealing with electricity, or in general wires, you would know that cutting and stripping wires are just the tip of the iceberg. We haven’t got to the fun part yet – Wire Crimping! Cutting seems like child’s play while stripping take a little more effort. But there’s just no denying that crimping keeps you awake at night. Crimping wires is an art form that requires extreme dedication. If done wrongly you’ll be having a loose ferrule and that’s not good if you have a rewiring job with thousands of wires terminating at various points. Locating just that loose wire (or bad crimping job) amongst the thousand of termination points could be a hassle and could double the effort. And using a manual crimping tool could be child’s play at first but after awhile you’ll get hand aches and sore fingers. Complicated and hard work right? So if we were to sum it up, imagine if you have to CUT, STRIP and CRIMP rolls and rolls of wires. Even if you outsource the job, it’s going to cost you. Other than cost, you also have to factor in the time taken to cut wires (ensuring they’re evenly cut into exact lengths), crimp (to ensure they’re securely attached to the ferrules) and strip them (being careful enough to not cut more than intended) – Phew! Cost and time aside, you’re also facing safety issues and also ensuring quality so that your client becomes a returning client each and every time. As said earlier, we hear your pains and then translate that into solutions. Over at Phoenix Contact we have introduced revolutionary productivity tools to solve your wiring woes (all at a fraction of the cost!). The CUTFOX10 cuts almost any wire and is ideal for heavy duty cable trimming activities. With a user-friendly display and safety mechanism, the CUTFOX10 is built for speed and usability. All one needs to do is placed the wires onto the rollers of the CUTFOX10 and then close the covers. Set the desired length and quantity on the user-friendly display (and it comes in multiple languages so do learn a new foreign language or two). Once you press the Start button (which is the green button – how convenient! ), the CUTFOX10 will cut the desired length and required quantities of your wires. It’s that simple! Don’t let the name fool you. This weapon is a must have in your arsenal for stripping cables, even those with special insulation types. Since it is built to specifically strip wires, the WF1000 also does partial stripping and also ensures that pressure points on sensitive insulation are avoided. With just a touch of a button, you can strip cables with diameters ranging from 0.08mm² to 6 mm². All one needs to do is turn the knob to the desired diameters (we even provide the dimensions on top of the machine for quick reference). Once you’re happy with the configuration, insert those wires into the WF1000. Enjoy the detailed cut, you deserve it (it’s actually only 2 steps but we’ll make step 3 serves as a reminder of your success). While the WF1000 strips, the CF500 was made to Crimp wires. With a range of crimping die dimensions, it crimps various types of cables. With a build in protective cover and step pedal for easy operation, the CF500 is designed for safety and convenience. Apply the correct die for the crimping job. As seen in the picture below, it only takes 45 seconds with the use of our specialized Hex Key (you heard that right, only 45 seconds). Once the desired die has been bolted, attached the enclosure to ensure maximum safety when using the device (without the protective cover attached,the machine would cease to operate). With the die and enclosure secured, you then need to press the buttons on the display. Once you’re satisfied with the configuration, it’s time to crimp! Insert the wire into the mouth of the die and let your feet do the pressing (with our crimping tools, we let your hands do other important tasks – like having a sandwich while your foot does the labor). And there you go folks! You have your wires crimped at half the time and half the effort (or should I say, quarter the time, quarter the effort). Say goodbye to working overtime. Won’t operate if the enclosure or the die is loose. So in summary we’ve got tools that cut, strip and crimp your wires, turning meaningless chores into passionate hobbies. In some cases, you might need strip and crimp at the same time and utilizing two different machines could take time (and it might cost you to have two separate machines). Well, we hear you! Say no more! While Phoenix Contact carries two different devices for Stripping and Crimping, with the CF1000, it incorporates both activities into a single powerful machine. The user-friendly interface and easy operation make daunting task seemed effortless. The CF1000 is built to withstand heavy duty and prolong usages. Depending on whether you’re stripping or crimping, you can just flip the appropriate switches (there are only two options so no room for mistakes there) and then set the knob to the desired diameter for stripping. If you’re stripping, you could insert the wires in the hole and witness magic happen before your eyes. If you’re crimping and stripping, you need to dump the ferrules in the turbine-like bowl at the top of the machine. And then, naturally, magic happens when you insert the wire into the hole. And you’re done! Once the wires have been inserted (either stripping or crimping), you’ll get the end result. Unlike the CF1000, Phoenix Contact’s CF3000 model is made with mobility in mind. While the CF1000 is ideal for industrial usage, the CF3000 allows both Stripping and Crimping on the go. Users only need to feed the reel of ferrules and the CF3000 will crimp/strip cables within a matter of seconds – just like a machine gun. Open the safety hatch and slide the safety panel. Insert the box of ferrules of your choice on to the safety panel shown below. Just like bullets on a machine gun, load the ferrules (or ammo as I call it) into the feed fixture as shown below. Once you’ve load the ferrules till you no longer can, that means you’re good to go. With the ferrules primed and ready, it’s time to put this baby to the test. Close the safety hatch and then you can start inserting the wires into the hole shown below. Be amaze at how fast the wires are being stripped and crimped. FOOD FOR THOUGHT: The CF1000 and The CF3000 may not look identical but their functions are similar, they both Strip and Crimp your cable within seconds. The only difference is that the CF1000 is great for industrial usage and requires a compression tank fitted into the machine. 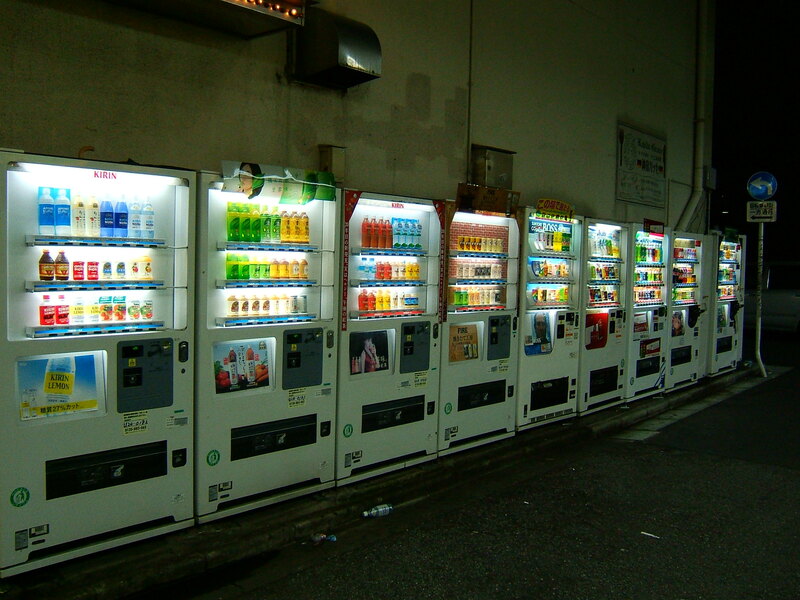 The CF3000, however, requires only electricity. With that said, the CF3000 requires manual insertion of the ferrules to start the crimping process, whereas with the CF1000, you can pour in a whole box of ferrules and the job can commence. So you see folks if you have any wire woes look no further. Phoenix Contact has the solution. With business picking up you need to ensure that you concentrate more on customer servicing and the actual wiring job rather than menial task such as cutting, stripping and crimping wires. Our products are made in Germany so expect the best in terms of quality and precision. They’re also built for safety and easy usage so anyone can get a head start. Why Phoenix Contact’s Productivity Tools? Saves time and effort – by relying on technology to automate task. Provides consistent quality– preset your measurements and let the machines cut, strip and crimp to precise results. User-friendly – Electricians, Technicians and even students have used our tools. Schools and laboratories have used it, building contractors have used it, major global companies have used it and now, you could too! *Psst…Did we say that it’s on promotion now?